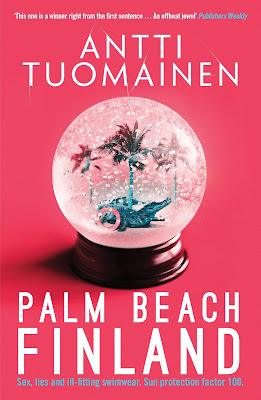 With a nod to Fargo, and the darkest noir, Palm Beach, Finland is both a page-turning thriller and a wicked black comedy about lust for money, fleeing dreams and people struggling at turning points in their lives ... from the 'King of Helsinki Noir’. 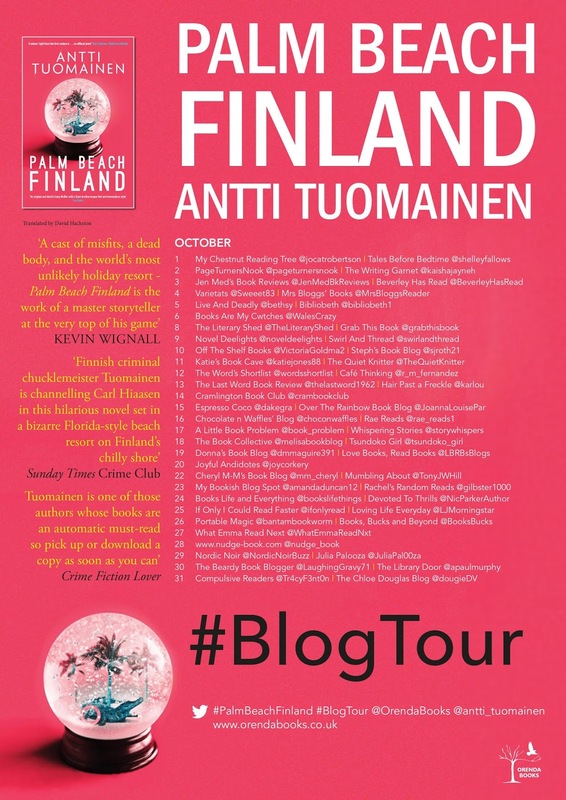 This had been an original read, with dark humour, complicated characters and the best beach in Finland. What more can you need? Let's start with a fact, a beach in Finland doesn't sound so good, I've been there and the temperature is not really adequate to sun bath or enjoy a swim at the sea, be prepared for some chilly water and maybe a cold the day after? 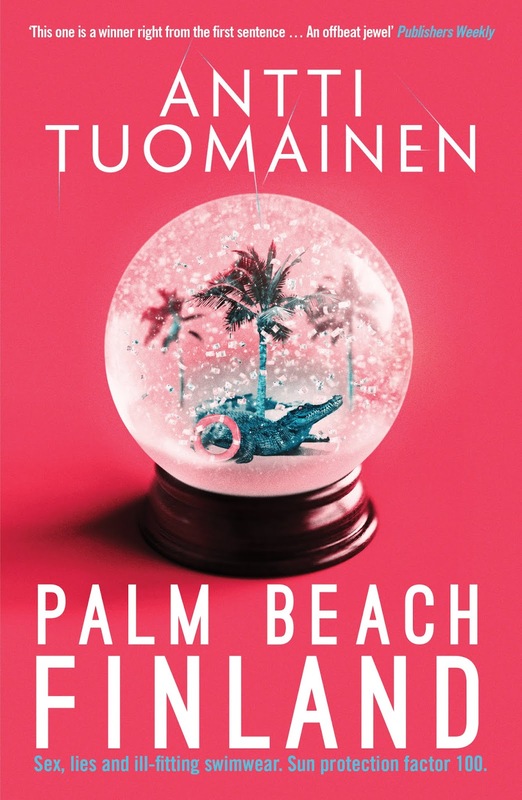 But this is not the point, is the idea of having a book based on a "high class" hotel announcing a great beach, this will only mean some twisted humour and possibly another great book of Antti Tuomainen. And let me say that after reading the first book by Antti Tuomainen, I couldn't wait to read the next and I am not disappointed at all! 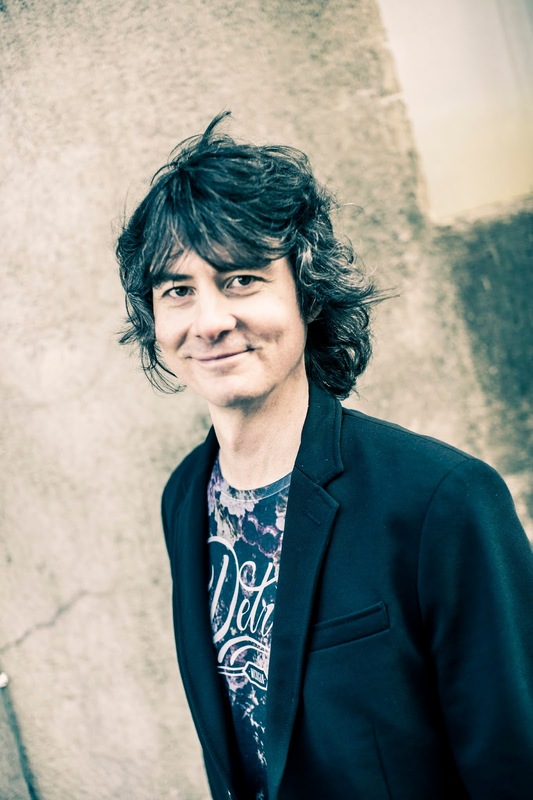 The fate of everyone at Palm Beach Finland seems to be in hands of the owner, he has big plans to grow the hotel complex and is ready to do anything to make his dreams come true, even to kill. Sadly the thugs he contracts to scare one of his employers kill a man at their first attempt, and this will be the beginning of the story. Because this mysterious man had a brother who is ready to pay large sums of money to discover what had really happened to him. This will make a race to find the truth to gain the big bag of money, creating some weird and funny situations at the same time. This had been an addictive and twisted read, to laugh at some of the situations and be ashamed of some others, a great read to enjoy!